I posted this last year, and wanted to share this message with you again. It has helped me get through many hard times, and reminded me in the good times just how powerful it is. Sending love to all the special people that I am lucky to have in my life… and each one of you knows who you are! There is no question that Lucy had a strong will. When she set her mind out to do something, no matter what obstacles got in her way, she saw it through! You mix that kind of determination with a heart of thankfulness and gratitude, and I believe that nothing can stop you. Here’s a simple tip that I have learned through the years and discussed many times with my friend Dr K: Keep a grateful heart and a strong will. This is what I am centering my thoughts on for today and everyday. We all have frustrations and hard times, learn to navigate around them to find your solutions, and keep a grateful heart in the midst of it all (count your blessings). Success and prosperity will come to you. I am grateful for you, my friends – for your friendship, your love, and support. You have warmed my heart many times without even knowing it, brought encouragement, and smiles. Thank you. Have a great Thanksgiving weekend, and here’s a little recipe that you might want to add to the menu for the next holiday rounds, a tasty appetizer and one of my favorites. I usually eat Vegan or Vegetarian and have discovered the nutritious beauty of fruits and vegetables! An old recipe that has always been a winner (especially now!) 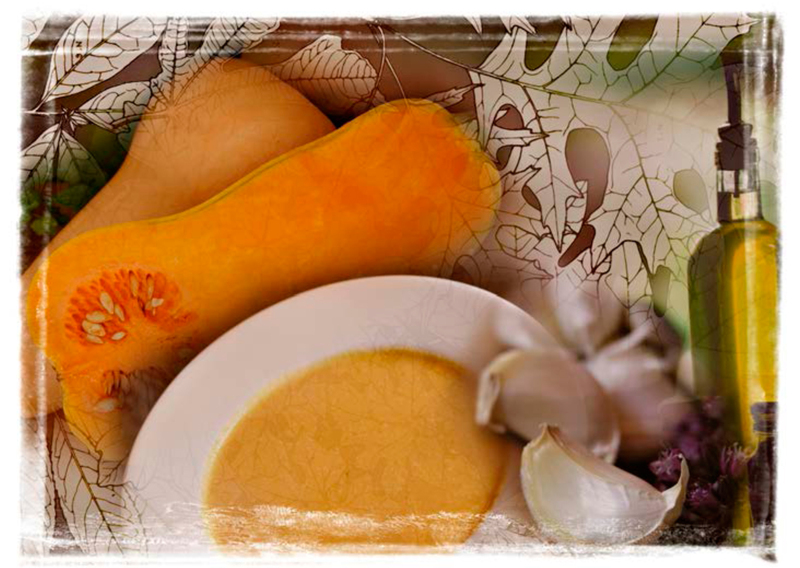 is Butternut Squash Soup. Here is a version created by Chef Mark Daniel that is a delicious treat served hot OR cold! Download the recipe here and enjoy!